Attorneys may find that they are in need of a National Certified Counselor (NCC), Licensed Professional Counselor (LPC) or Licensed Mental Health Counselor (LMHC) to serve as an expert witness in a criminal, civil deposition or trial. in some states and LPC is designated as Licensed Clinical Professional Counselor (LCPC). The expert witness serves as a neutral licensed professional who reviews the discovery in the case, and opines to the attorney, legal record or Court. The standard of care of a Nationally Certified (NCC), Licensed Professional Counselor (LPC) or Licensed Mental Health Counselor (LMHC) is in question. There has been questionable conduct on the part of the patient or the professional. There is an issue regarding emotional distress or death in a matter. There is a need for second opinion on a matter involving a breach of ethics or law. Lisa Taylor-Austin, NCC, LPC, LMHC, CFMHE, CFBA provides professional communication with her clients who seek her services as an expert. She is available to consult or testify in cases nationwide. The counseling standard of care is sometimes questioned in cases where a malpractice suit is being pursued. In some cases there may have been a suicide or alleged inappropriate conduct on the part of the counselor. The standard of care is based on community professional standards. Professionals are held to the same standard as others of the same profession or discipline with comparable qualification in similar localities (Caudill, 2004; Doverspike, 1999; Woody, 1998; Zur, 2007a). There is a minimum standard of care based on state laws, federal laws and ethics of the profession. Professional counselors are not expected to be infallible, nor are clients guaranteed positive or desired results (Caudill, 2004). For a counselor to successfully be sued by a plaintiff, a negative outcome such as suicide is not sufficient proof of sub-standard care. Plaintiffs must establish that the therapist acted below the standard of care. Such sub-standard care can be the outcome of intentional or negligent acts (Woody, 1998). Hiring a Licensed Professional Counselor (LPC), Licensed Mental Health Counselor (LMHC) or National Certified Counselor (NCC) to review case notes and medical records can be prudent to decide if a lawsuit or action should be brought forward. It can also assist greatly in the defense of such a professional. Health records and the medical records must contain certain documents, per HIPAA, state law and ethical guidelines. Timely and proper record keeping on the part of the counselor is crucial. Interventions and modalities used in session should be consistent with the history of the patient and relevant content of the session and treatment planning. 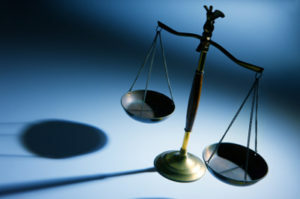 There are varied factors that influence law suits. To successfully defend or prosecute a case, a counseling expert witness will be helpful to the attorney, jury, hearing adjudicator or Court. Please call (203) 522-6164 for a confidential discussion about how a counseling expert witness could help you. Contact us for more information about our counseling services and experts.